Scarlet elf cups: fungi which add a dash of bright colour in the depths of winter. 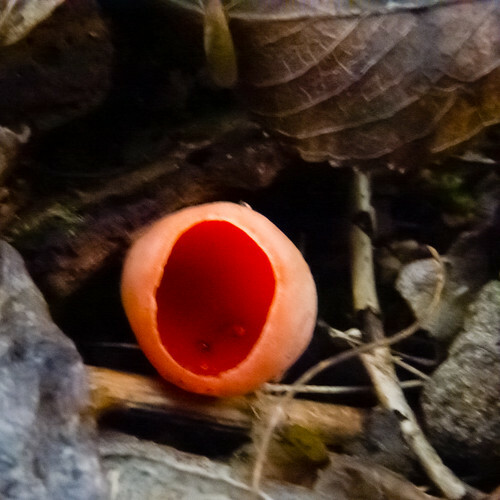 The bright red fruiting bodies are sent out early in the new year, growing on dead, sometimes buried, wood. I first noticed some on a pile of twigs by the Railway Walk at Newbridge six years ago. Since then, they have been back every January, although in smaller numbers.